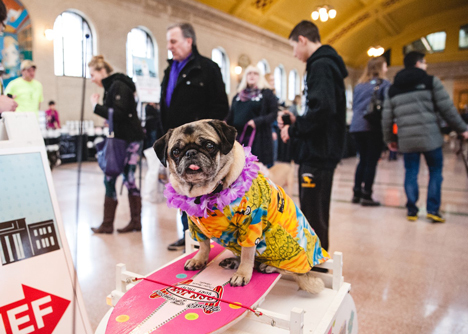 Doggie Depot is an annual dog-friendly event held at Union Depot as part of the Saint Paul Winter Carnival. A Q&A with all-things-dog expert Katie K9 from myTalk 107.1. The crowning of the third Saint Paul Winter Carnival Canine-King Boreas and Canine-Queen of Snows. Full details and a list of vendors and rescues are available at uniondepot.org/doggiedepot. Union Depot is accessible by the Metro Transit Green Line and bus lines 3, 16, 21, 54, 63, 70, 350, 351, 361 and 364.